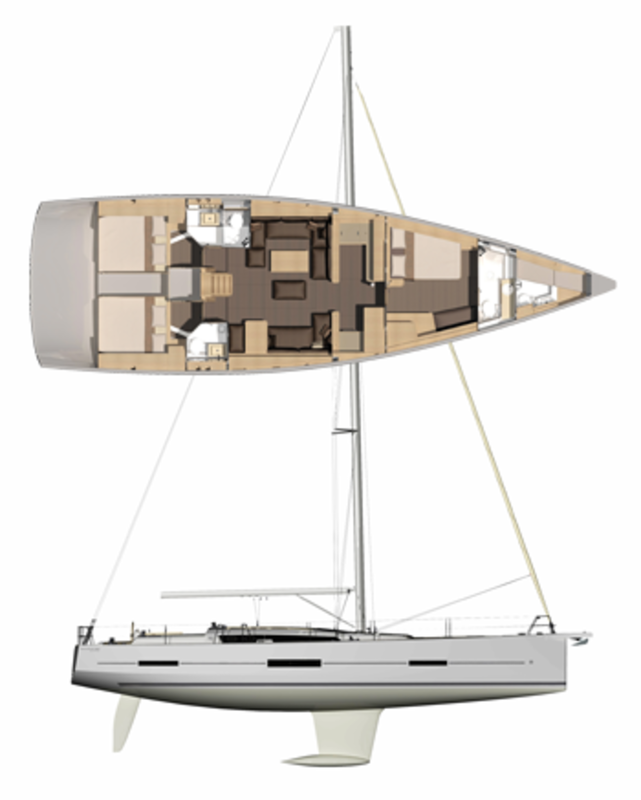 Coming hot on the heels of Dufour's Grand Large 500, the new 560 incorporates many of the innovations pioneered by her smaller sibling. 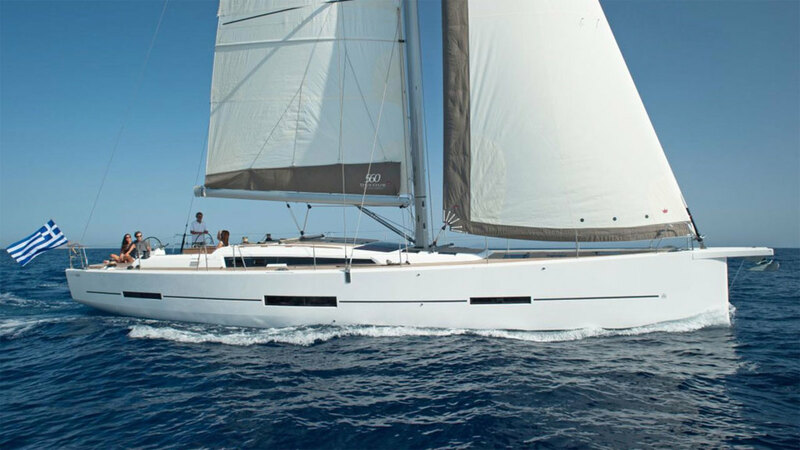 Despite it's impressive LOA, the 560 is also a surprisingly nimble boat that is well-configured for short-handed sailing. The construction of the GL 560 consists of a hand-laminated and vacuum bonded polyester/foam core sandwich hull (solid glass below the waterline) molded as a single piece. An inward flange provides a solid bulwark at the joint that helps alleviate stress during de-molding. An integral grid that helps distribute loads is fused to the hull and over-laminated in high-stress areas, an approach that allows precise control of the fiber and resin placement, and results in lighter finished parts, faster preparation and a cleaner, more eco-friendly process overall. 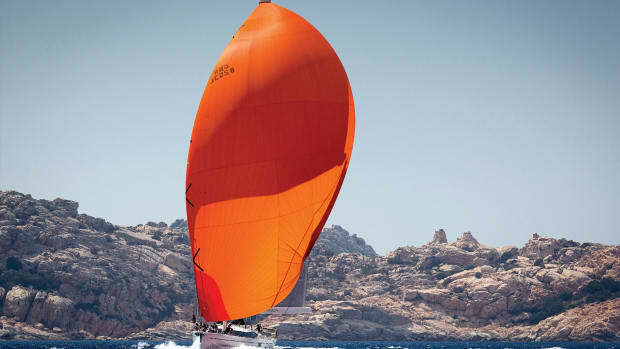 Like the company’s first boats back in the 1960s, the Dufour 560 has an L-shaped cast-iron keel with a large volume bulb, here offered in two depths; 7ft 2in and 8ft 2in. 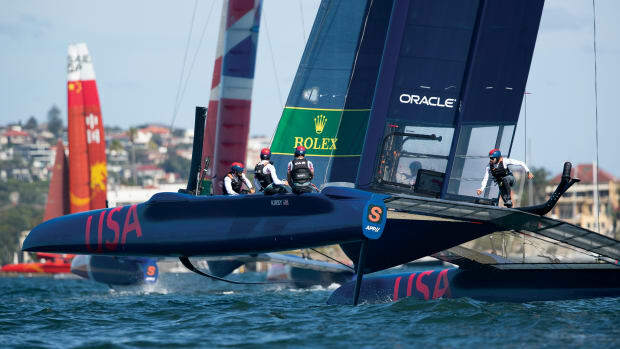 The boat’s balanced elliptical rudder minimizes drag and provides good responsiveness and grip even when healing. A 7/8ths fractional rig supports double aft-swept spreaders and a total sail area of 1,400ft², which is divided between an 87 percent self-tacking jib and a traditional or furling mainsail, both by Elvstrom Sails. 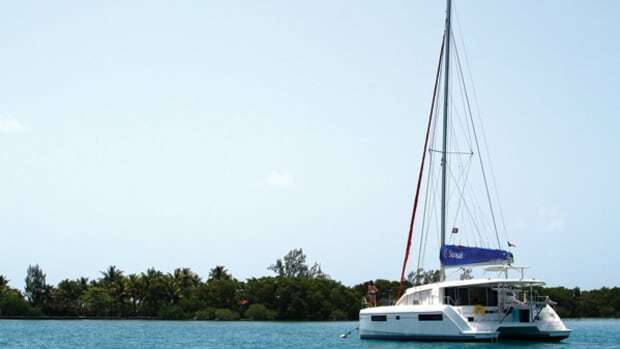 The deck-stepped mast is by Z-Spars and is well forward to accommodate a large, easy-to-handle main. The sail plan can be further optimized in several ways. The self-tacking jib, for example, can be replaced by a full overlapping genoa with the addition of deck-mounted tracks. 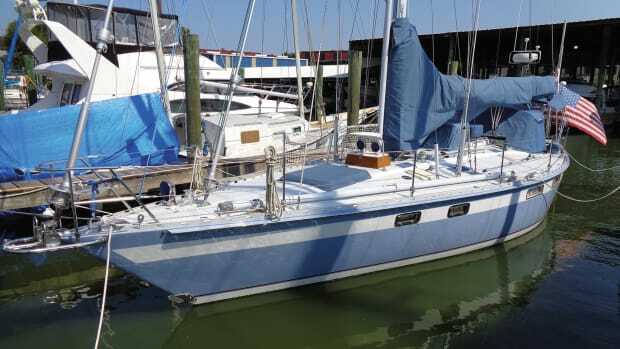 Owners can also specify an optional inner forestay for flying either a hank-on or furling staysail that still leaves enough of a slot to tack a large genoa. This versatility means that the needs of casual coastal cruisers, club racers and even offshore passagemakers can all be accommodated. 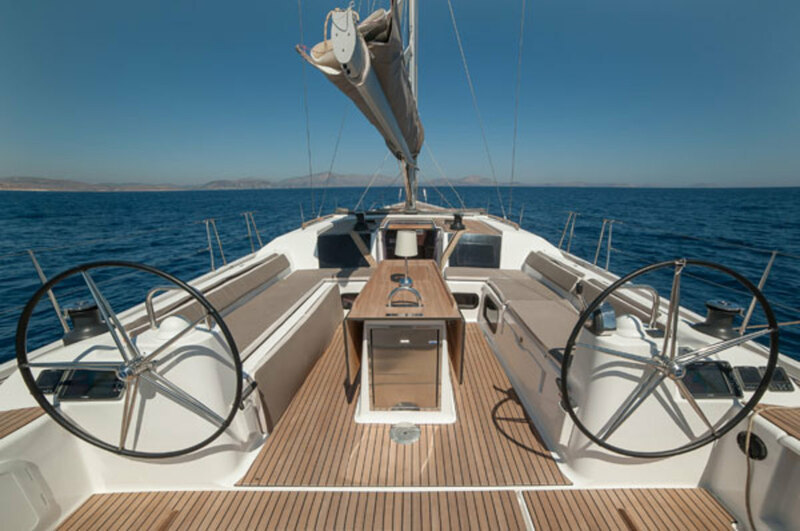 The bow on the GL 560 has been modified with an integrated bowsprit, or “Delphinere,” that is composed of a strong stainless steel structure overlaid with fiberglass to make it blend with the hull. Unlike on the GL 500, where the anchor must be hoisted out of the locker before dropping the hook, this sprit provides a place for a traditional anchor roller as well as an attachment point for a gennaker. Aft, Dufour’s now-famous “tower” still holds an Eno plancha grill, a sink and a prep surface, so you can stand on the drop-down transom and grill as we did when motoring back to the marina at the end of our sail trial. 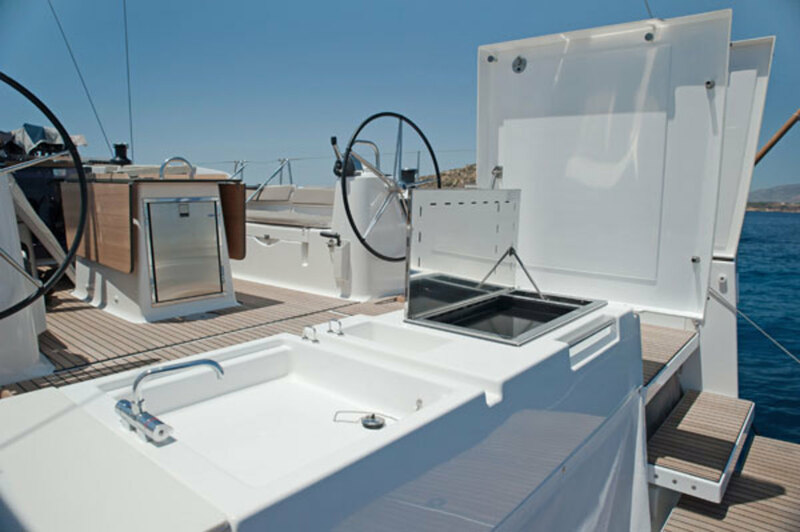 However, aboard the Grand Large 560, the transom top is also much broader to create a fantastic sun lounge that is well clear of the working part of the cockpit. The cockpit itself is divided into “maneuvering” and “comfort” zones, with the forward section coming equipped with twin settees that will seat up to eight, and a table that holds an optional sink and Isotherm fridge. 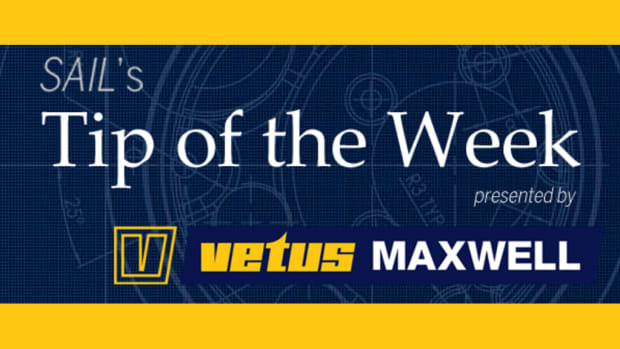 Meanwhile, in the working portion, the twin helms both have Lewmar primary winches within easy reach, and the mainsheet is double-ended so it can be adjusted from either side. On our test boat, an array of Raymarine electronics and instruments were also installed at both wheels. The jib sheets run to winches on the cabintop, while genoa sheets run aft to the primaries or secondaries. The cockpit sections are so well segregated that those wishing to socialize and those running the boat are never at odds. I counted 10 people aboard for our test sail, and none of us felt cramped or in the way at any time. Anyone familiar with the Grand Large 500 will instantly recognize the GL 560’s interior. The saloon has 6ft 7in of headroom, a U-shaped settee and convertible table to port, and an L-shaped settee to starboard with a fixed, forward-facing nav station. 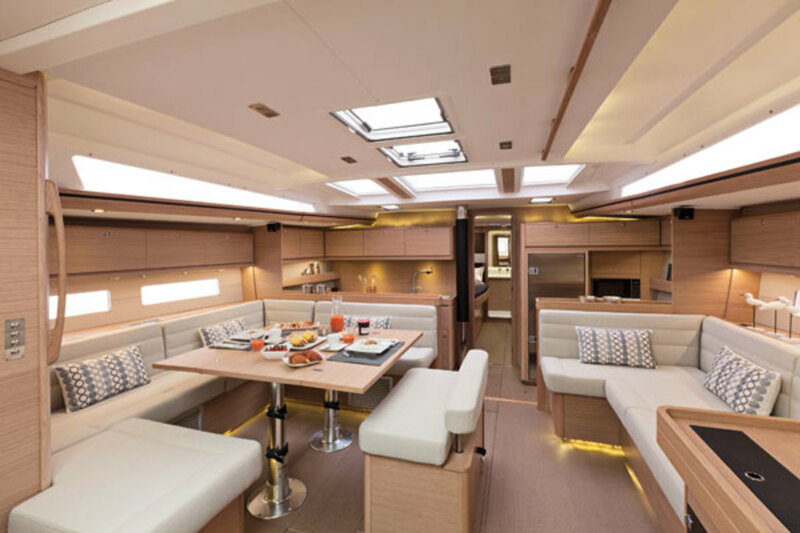 As is the case with the 500, the galley runs athwartships ahead of, and separated from the saloon by, two half bulkheads that also serve as cabinets—one stores dishes and the other holds the aft-facing pop-up flatscreen TV. One change: the sink has been moved to port and closer to the Eno stove, so you won’t have such a long way to get from one side of the galley to the other with, say, a pot of steaming pasta. In another nice touch inherited from the 500, a Nespresso coffee maker is nestled in an overhead locker. Not surprisingly, given the size of the boat, there are a myriad layout options. In all of them the saloon and galley areas stay mostly the same. However, there are no less than four choices of forward sleeping quarters. These include the choice of either a centerline island berth with split head and shower compartments; a traditional Pullman berth to port with a combined head forward in the bow; or what is likely to be the most popular option, an island berth offset to port where both people can get out of bed on their own side, which creates room for an outboard lounge. 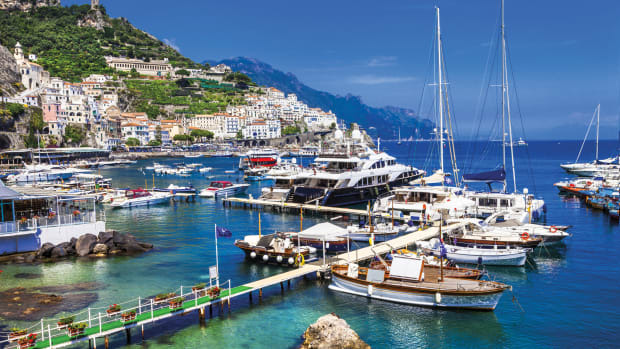 A fourth option divides what would otherwise be the owner’s stateroom into two cabins, most likely to be targeted at charter companies. Dufour’s signature wine rack below the saloon cabin sole has been expanded and holds 15 bottles laying down plus 10 standing up. Because this is a French boat, a drawer under the settee holds yet another eight bottles while six more can be hidden in the galley divider. A small crew cabin has also been added in the forepeak, with deck access via an overhead hatch. 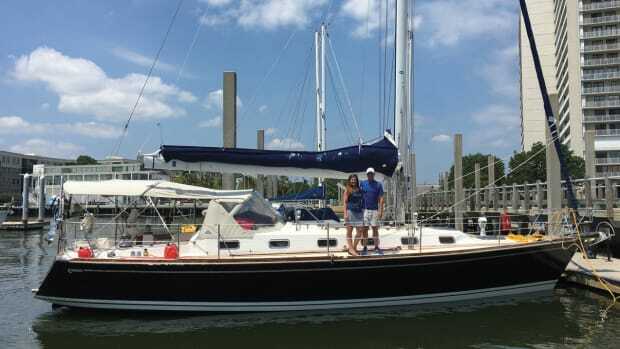 According to Dufour, this addition may have been the leading impetus to developing this larger model, because while American boaters are likely to manage a 56-footer like this themselves, in Europe and in other parts of the world, up to 70 percent of owners may have a professional captain manage the vessel. For anyone not needing an extra cabin, the space makes an excellent sail locker. As we peeled away from the dock with the help of the retractable Side-Power bow thruster, I was surprised as how quiet the system was, even as it moved quite a lot of water. Beyond the Marina Del Rey jetty, we rolled out the in-mast mainsail and jib, and shut down the motor. The boat had just been splashed and the wind instruments had not yet been calibrated, so we guessed that we were enjoying a breeze of 8-10 knots. That might not seem like much to move a boat with a displacement of nearly 40,000 pounds, but off we went. The good news is that the GL 560 can point. The tight sheeting angles of the self-tackling jib certainly helped, and we had a very narrow and tidy slot between the two sails as we slipped along at 8.5 knots at about 40 degrees apparent wind angle. The hull form and underwater appendages aboard this boat have been carefully designed and built. With a borrowed (and slightly undersized) A-sail, we added about a knot when off the wind. It’s really quite a large expanse of deck when you’re looking forward from the wheel, and as I steered through the mellow Southern California breeze a few things struck me. First was the impressive acreage of boat ahead of me and its ability to point and glide comfortably through small chop. Second was her responsiveness and easy tacking. The steering was one-finger light and the tacks were quick and hassle-free.  The GL 560 may be the biggest in the line but it’s no harder to sail than a 30-footer and that will undoubtedly appeal to a broad spectrum of buyers. Auxiliary power is provided by a 110hp Volvo Penta diesel, which is upgradable to 150hp. Dufour opted for a V-drive, in which the front of the engine faces aft and the transmission is mounted forward. This arrangement allows the engine to be placed farther aft in the boat. In fact, with a standard shaft configuration, to achieve the proper shaft angle, the engine would have had to be four feet forward, situating it in the saloon, where it would have destroyed the flow of this spacious living area. A four-blade folding prop accompanies the standard 110hp engine package, while a five-blade feathering Max-Prop propeller comes with the optional 150hp upgrade we had on our test boat. On flat water, we motored back to the slip at 9.4 knots at 2,800 rpm with the larger engine. Tankage is the same as on the GL 500, with 180 gallons of water in three tanks and 132 gallons of fuel.